Layer this women's jacket over your workout clothes and head to the gym in sleek, modern style. 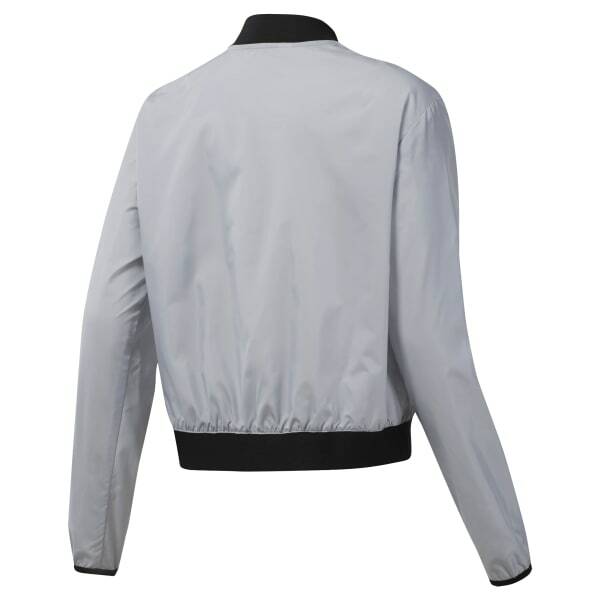 Made from smooth taffeta, the bomber look is crafted in a slim fit. It's signed off with a small logo on the shoulder.